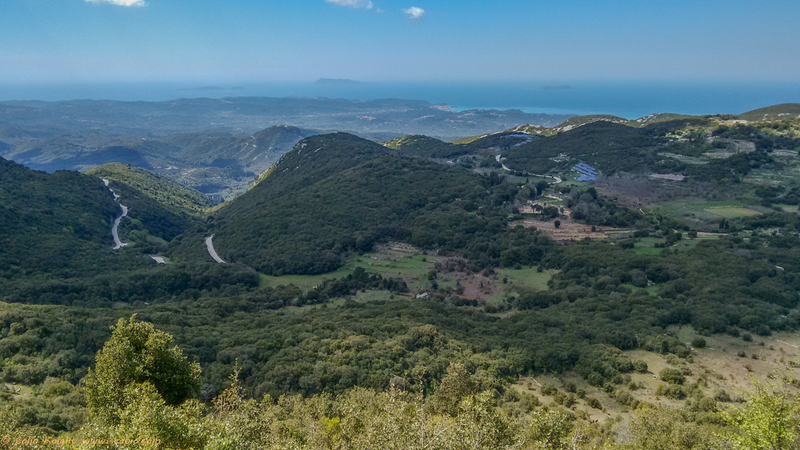 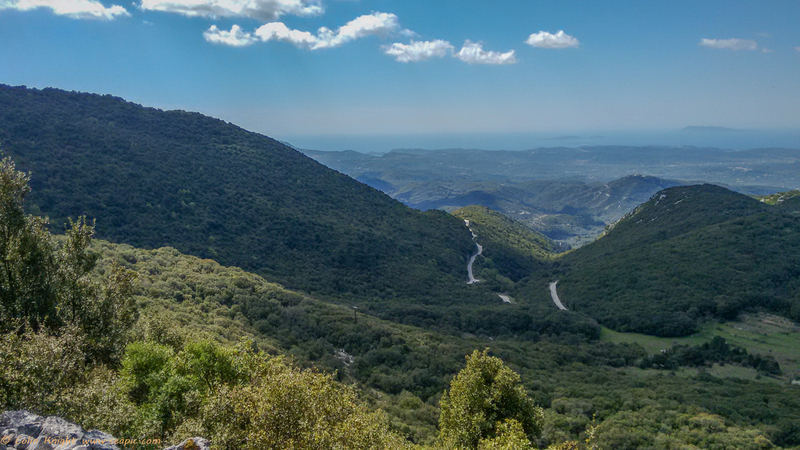 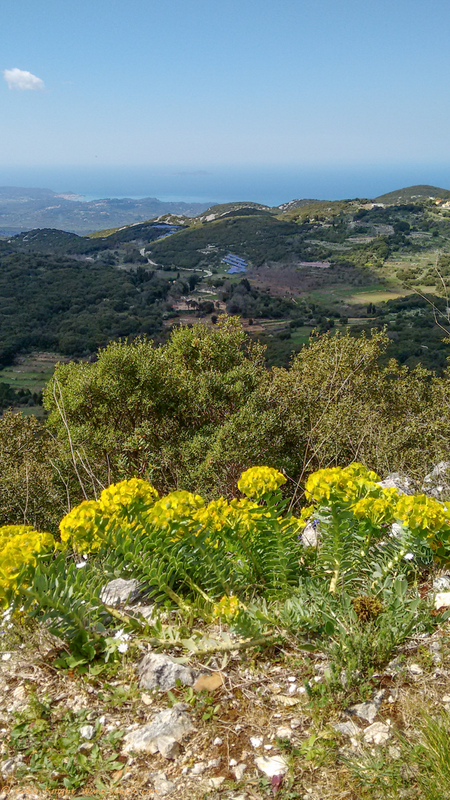 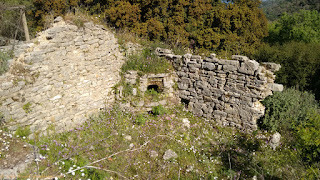 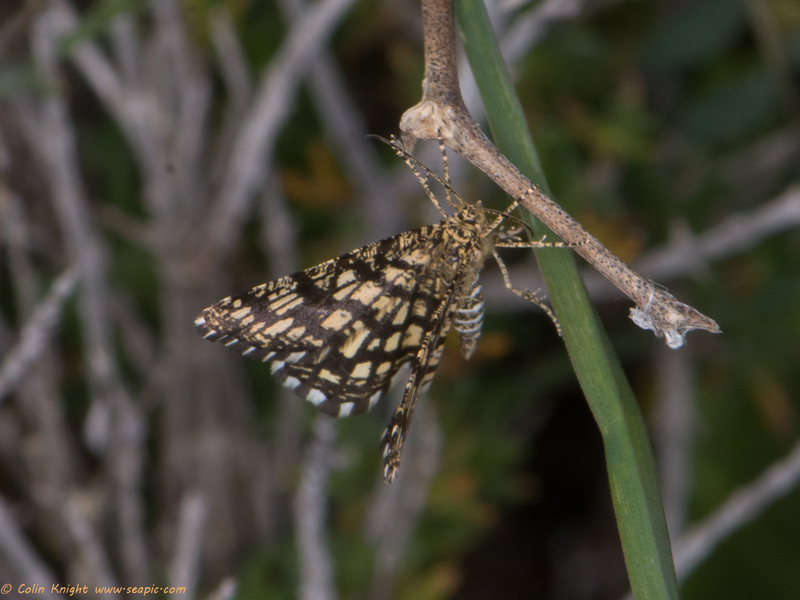 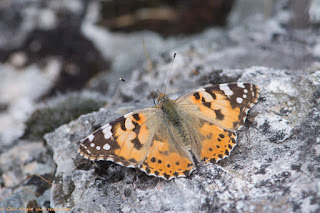 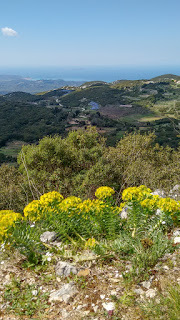 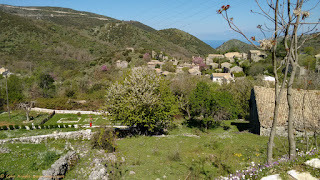 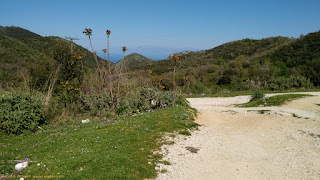 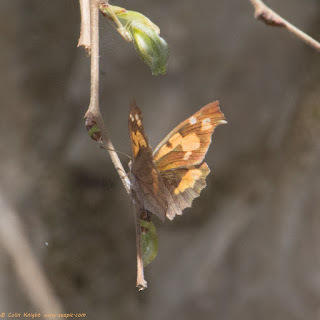 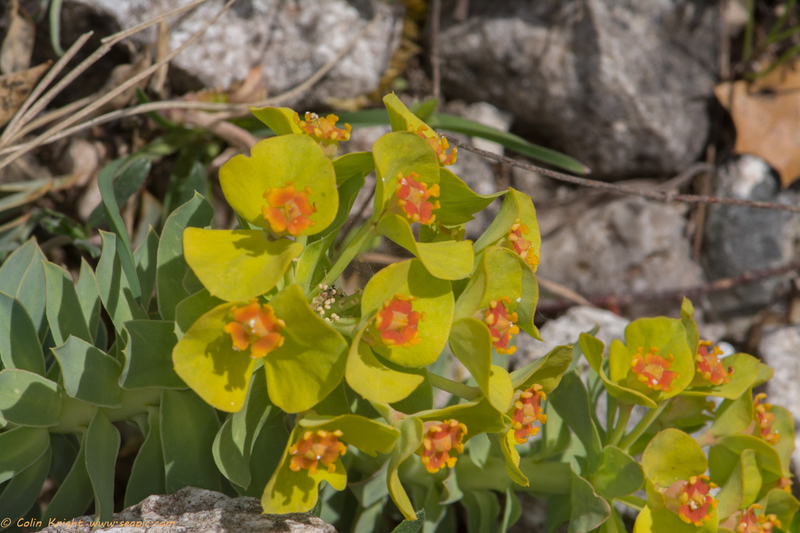 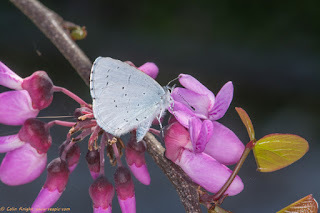 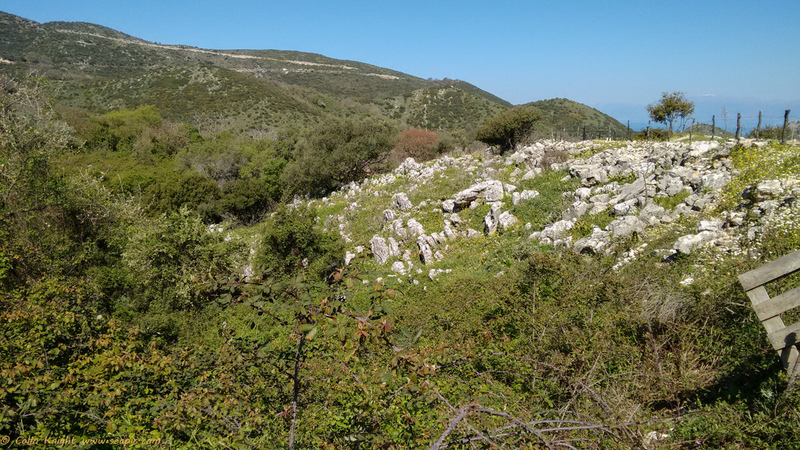 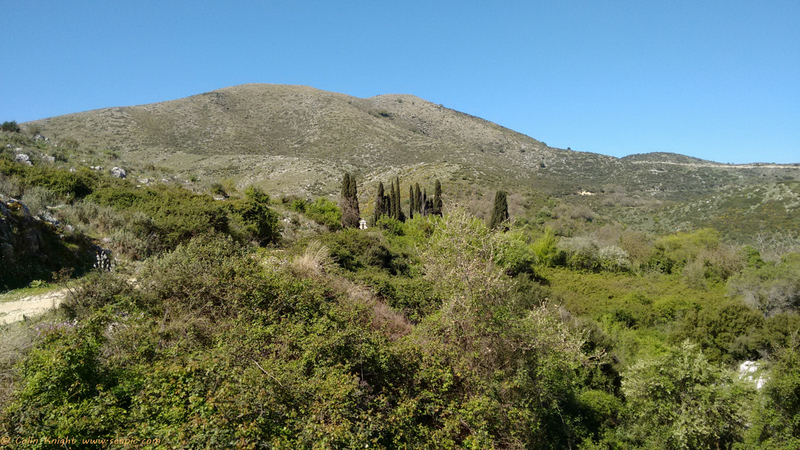 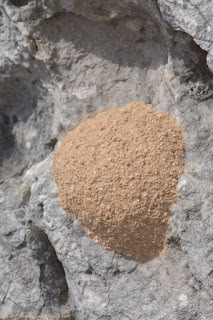 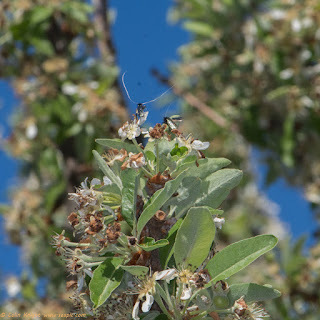 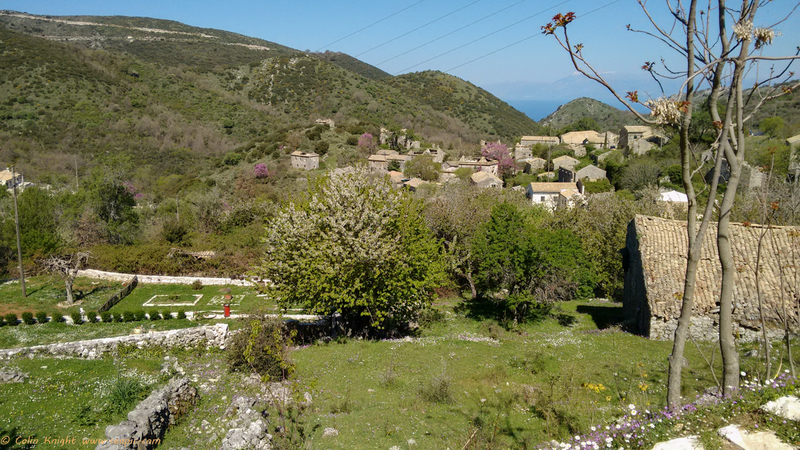 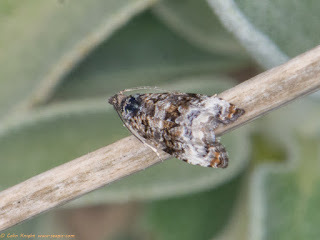 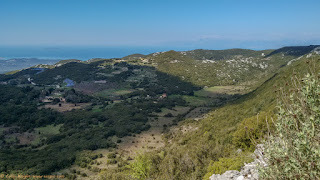 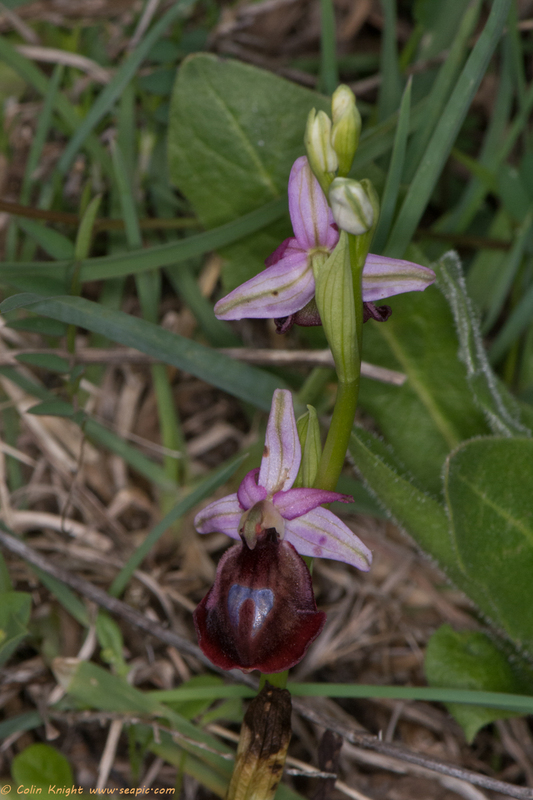 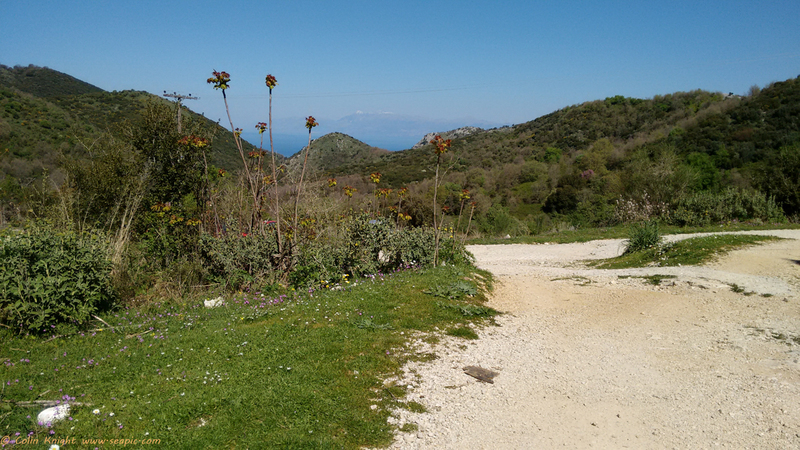 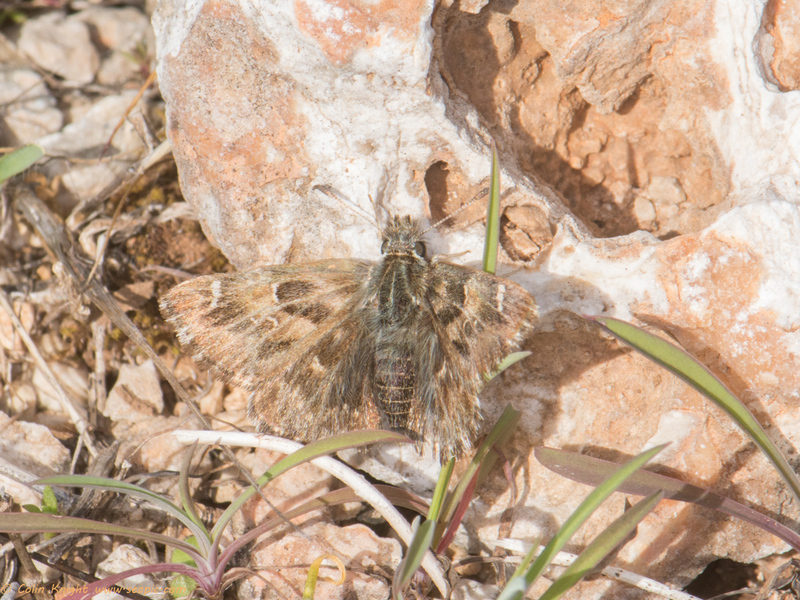 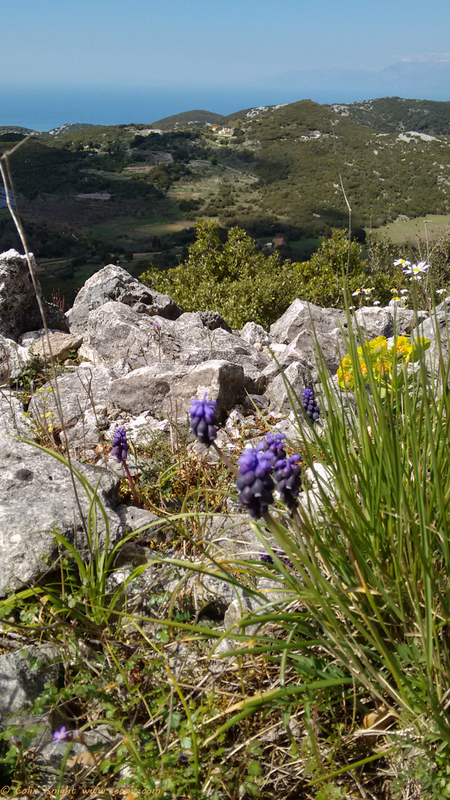 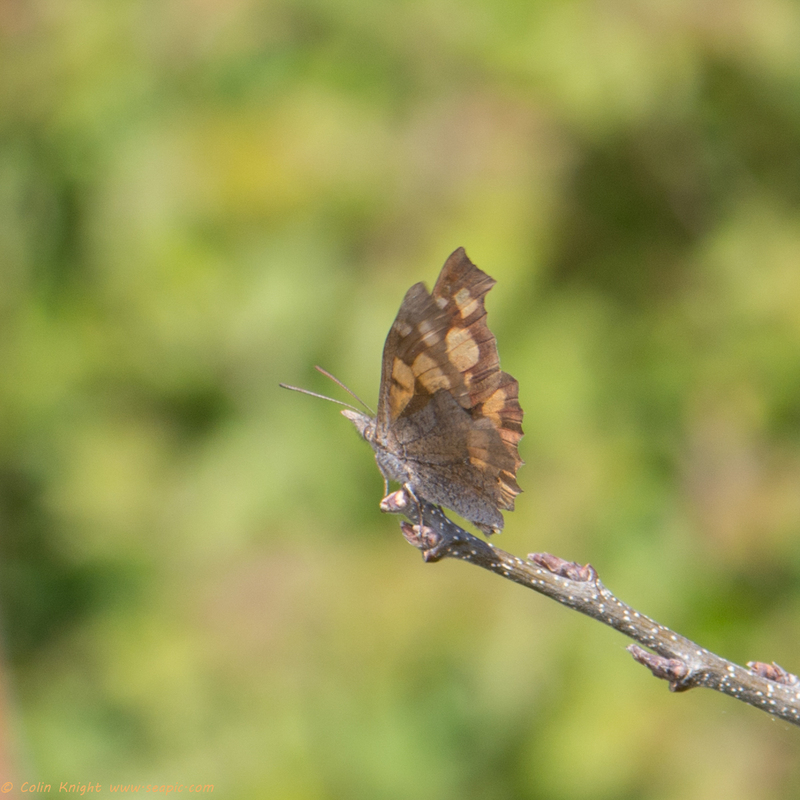 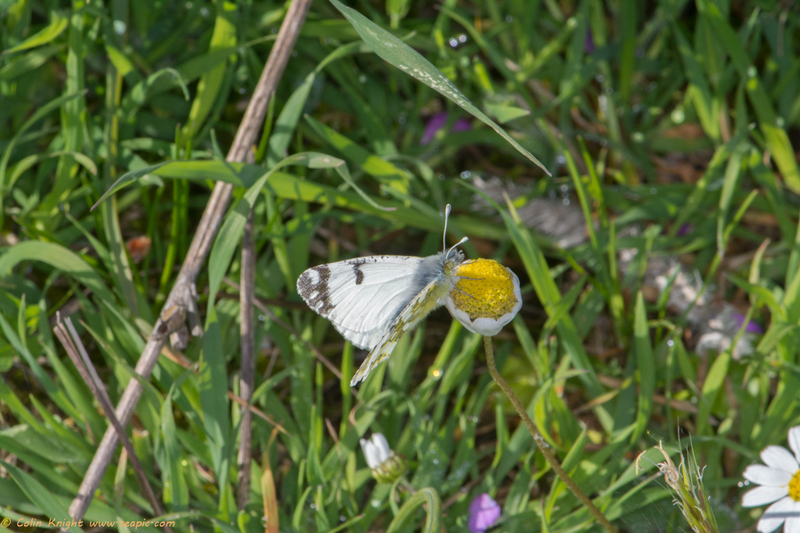 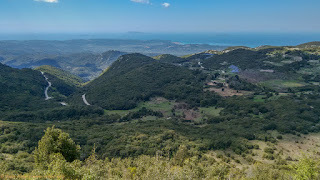 April 9th was day 2 of the Corfu Butterfly Enthusiast's (CBE's) tour of Corfu and brought us to Old Perethia on Mount Pantokrator. 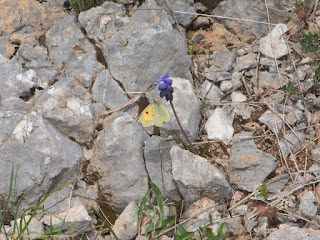 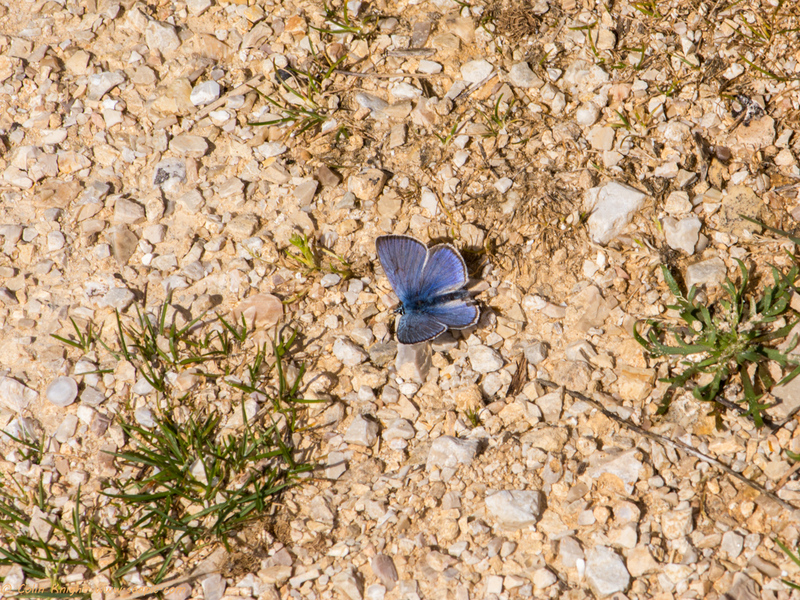 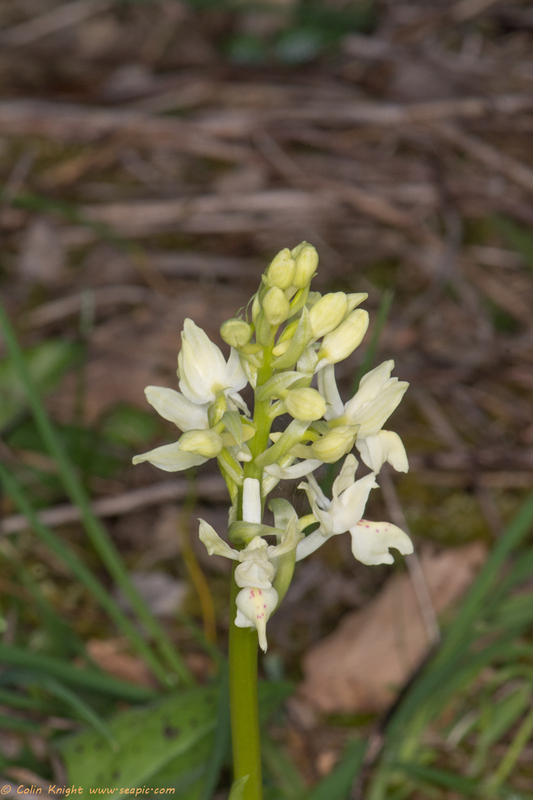 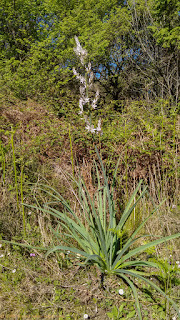 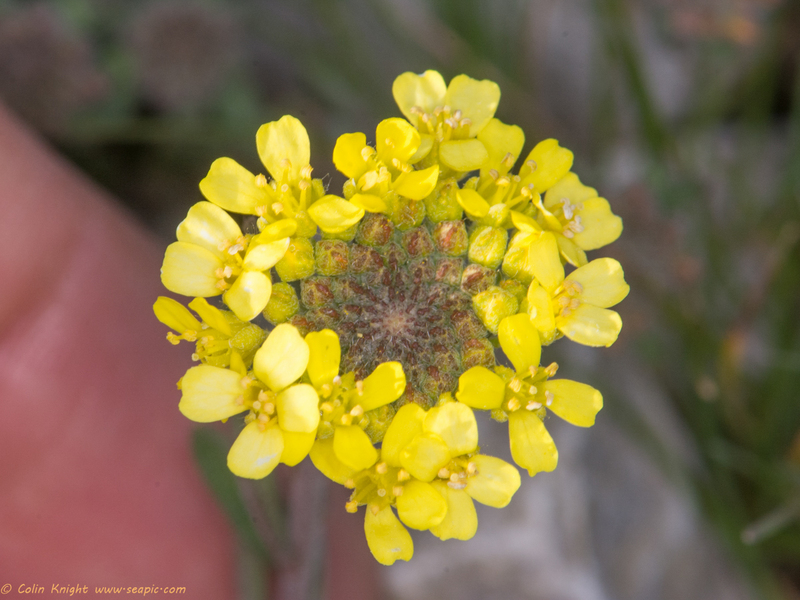 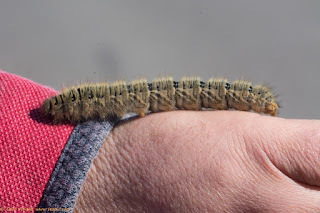 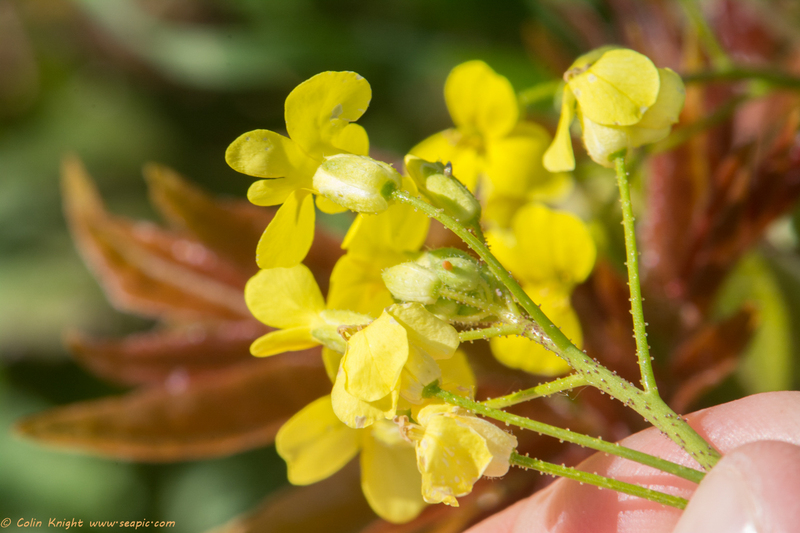 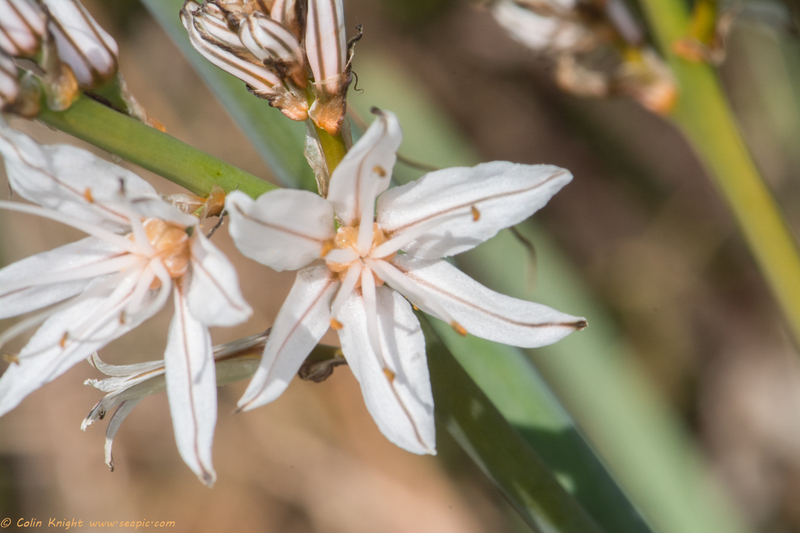 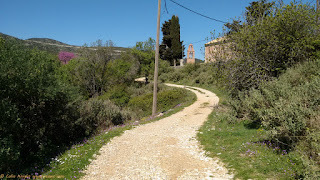 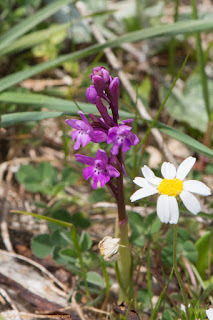 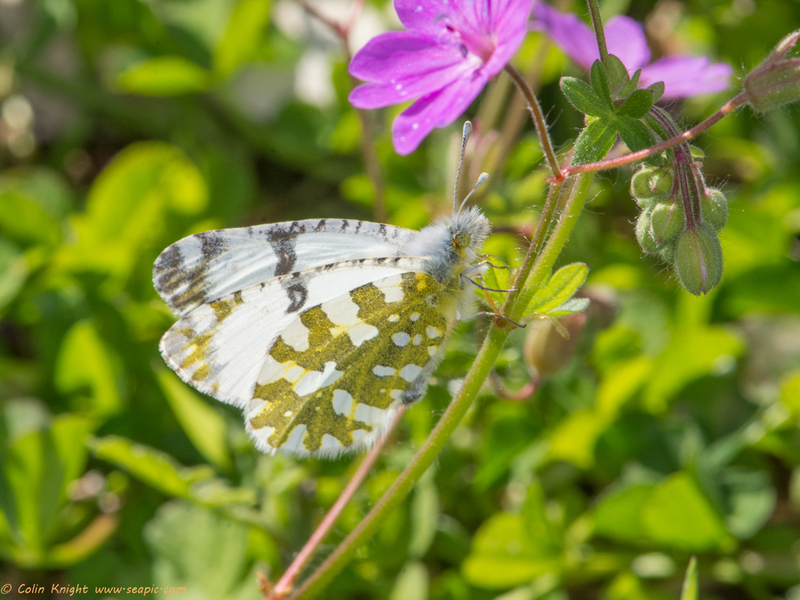 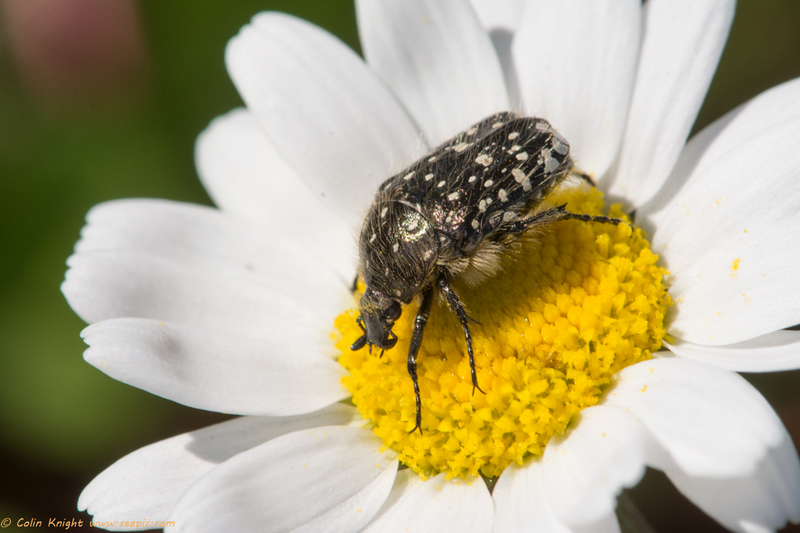 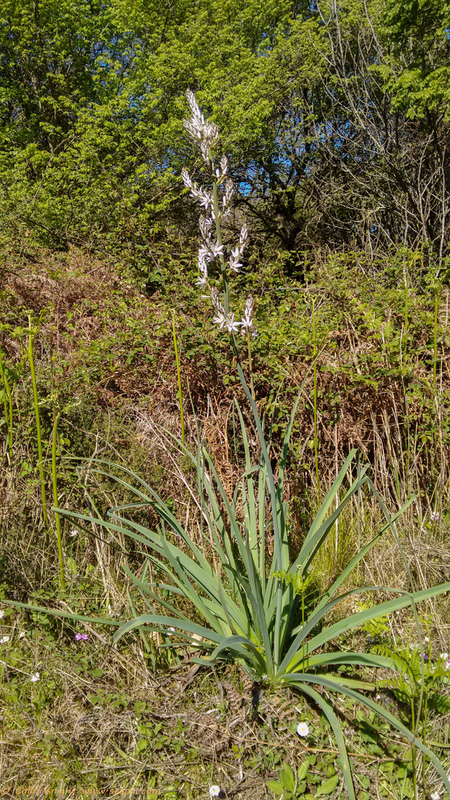 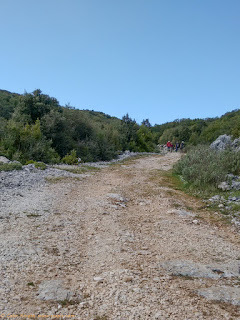 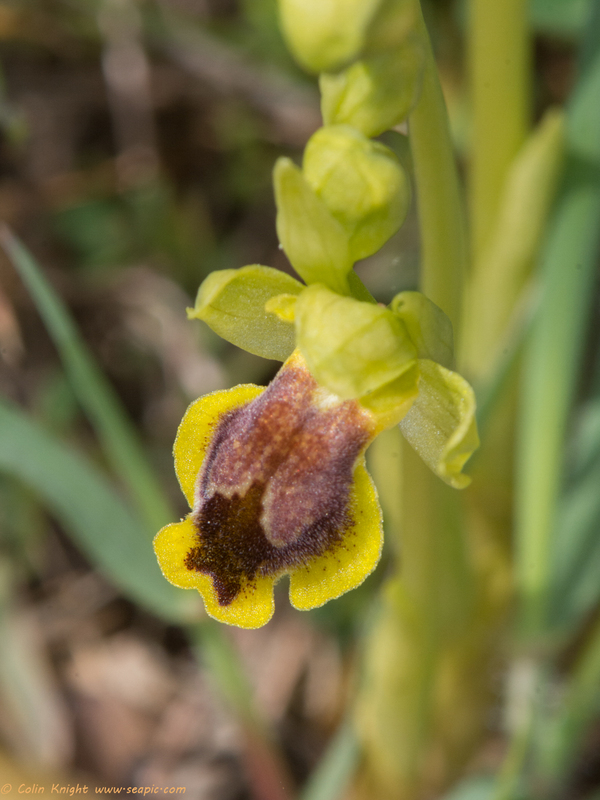 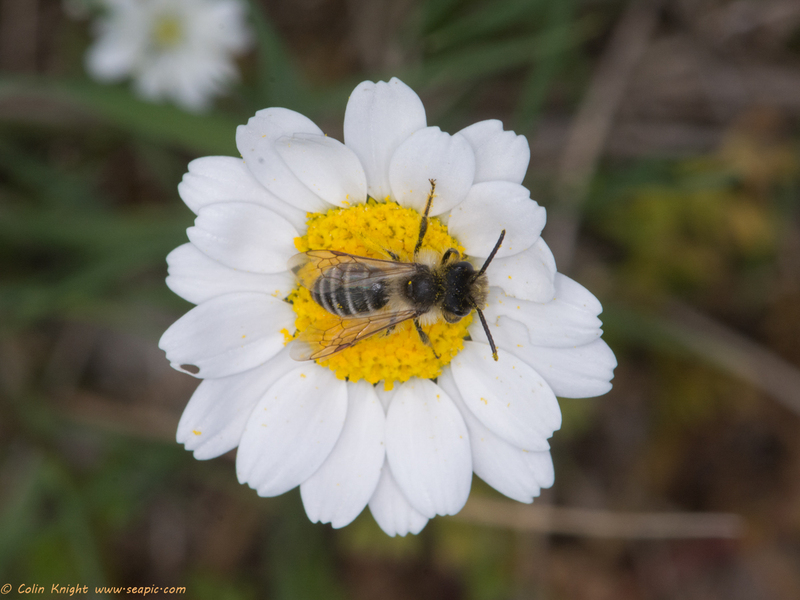 We enjoyed wandering along the mountain tracks admiring the many Eastern Dappled Whites, Wood Whites, Green-underside Blues and other butterflies, insects and flowers. We lunched at a Taverna in the town and were immediately impressed by a tree beside our table which was soon identified as a Nettle Tree. 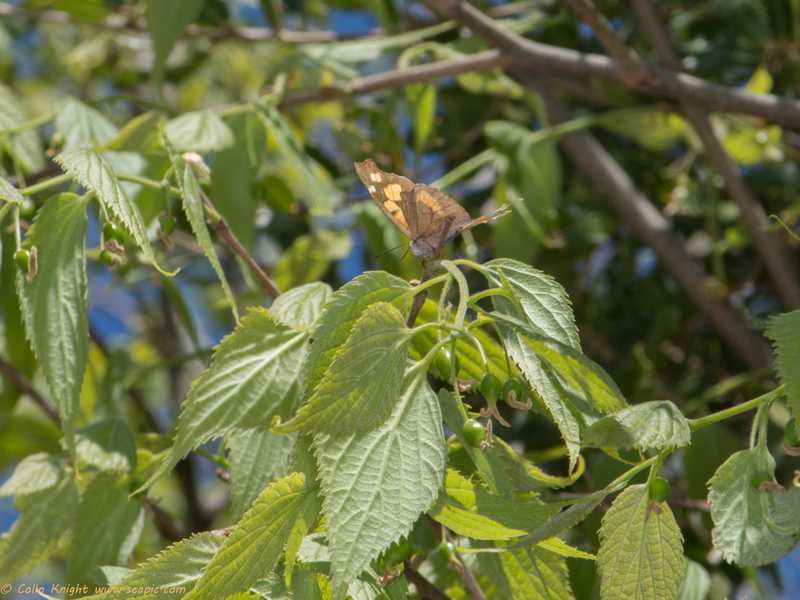 A glance up revealed butterflies fluttering round the tree top and these were soon identified as elusive Nettle-tree Butterflies - we had struck gold! This was the first of many fabulous Greek lunches. 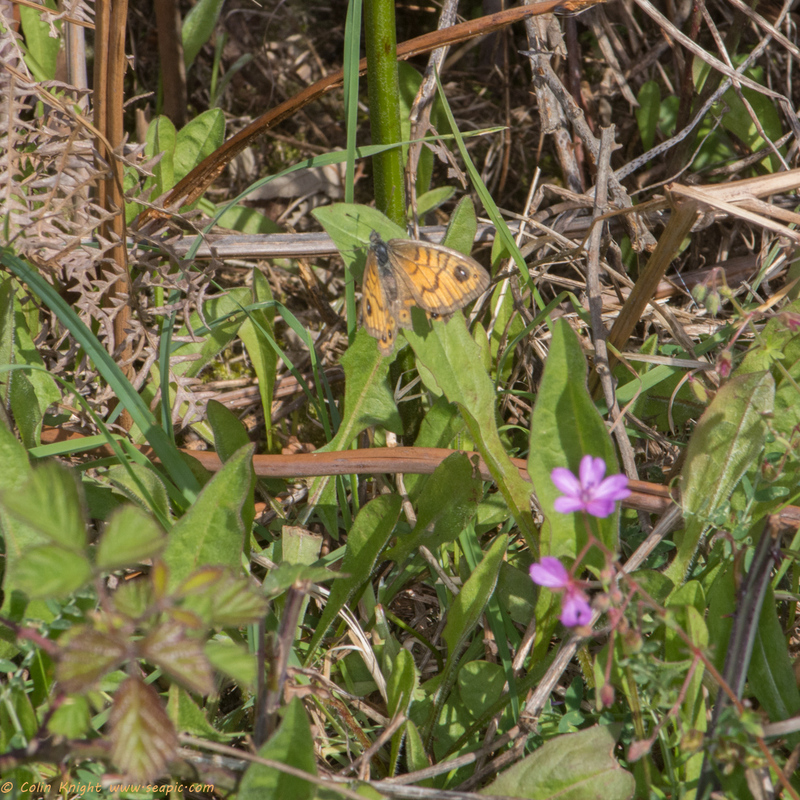 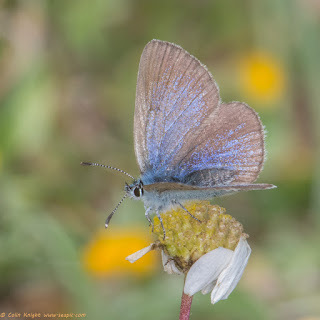 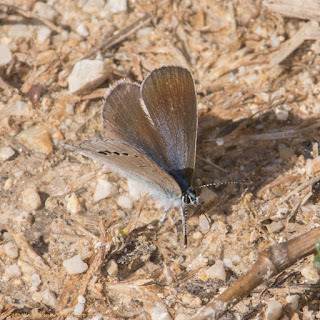 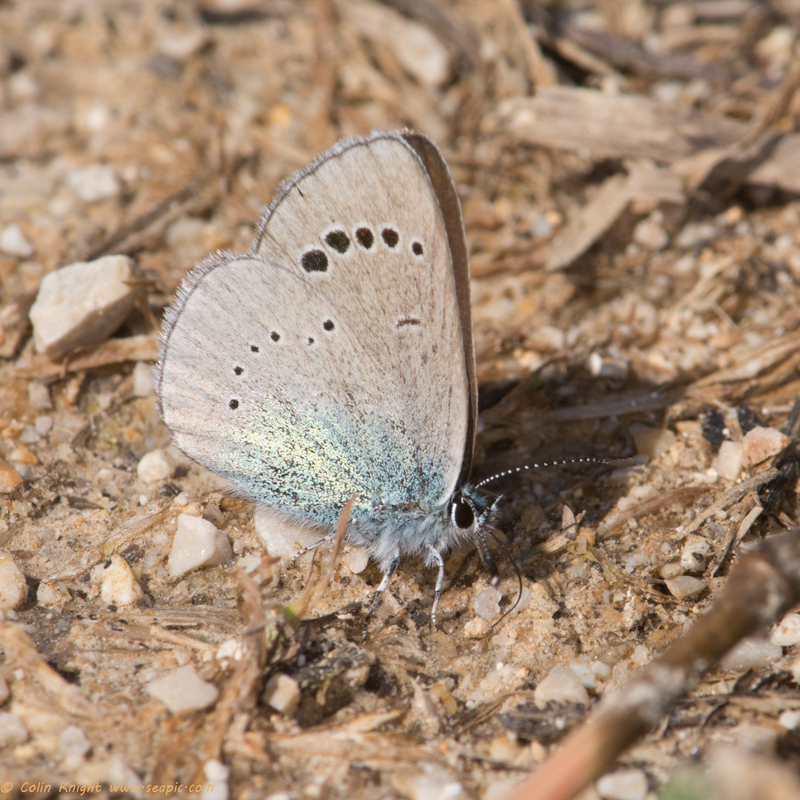 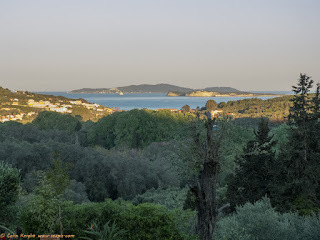 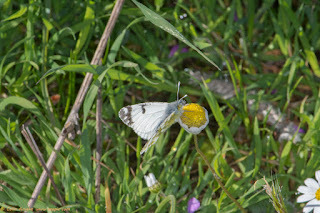 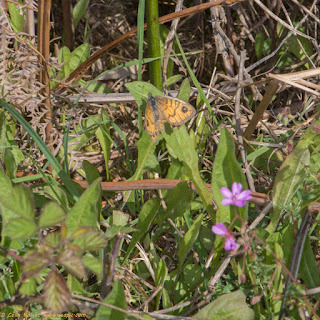 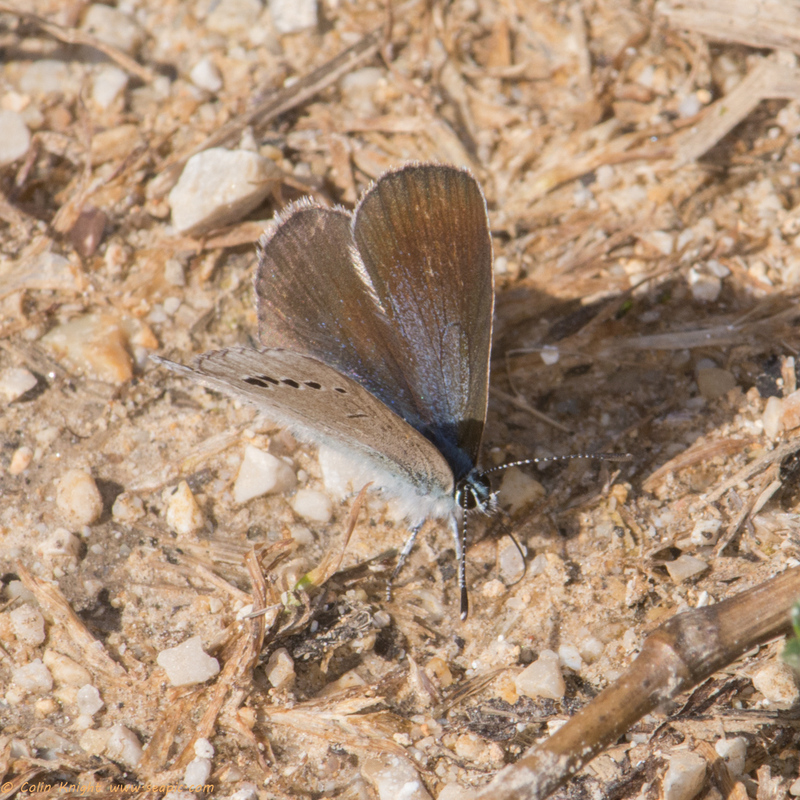 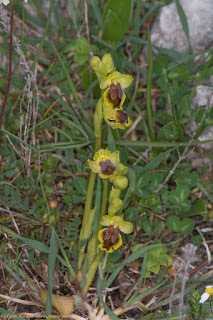 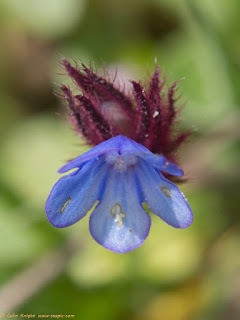 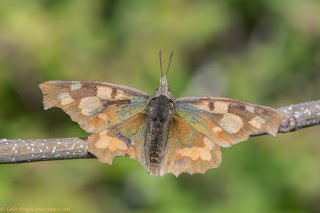 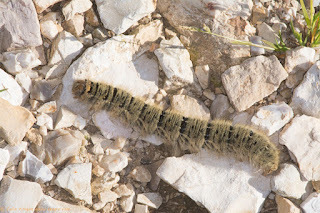 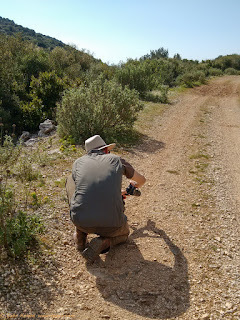 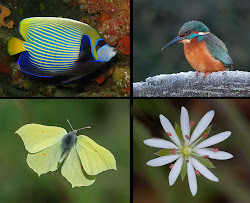 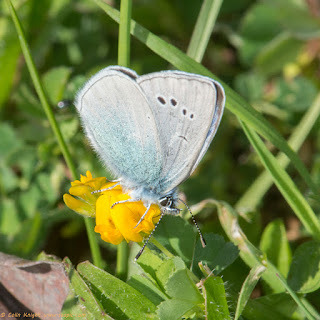 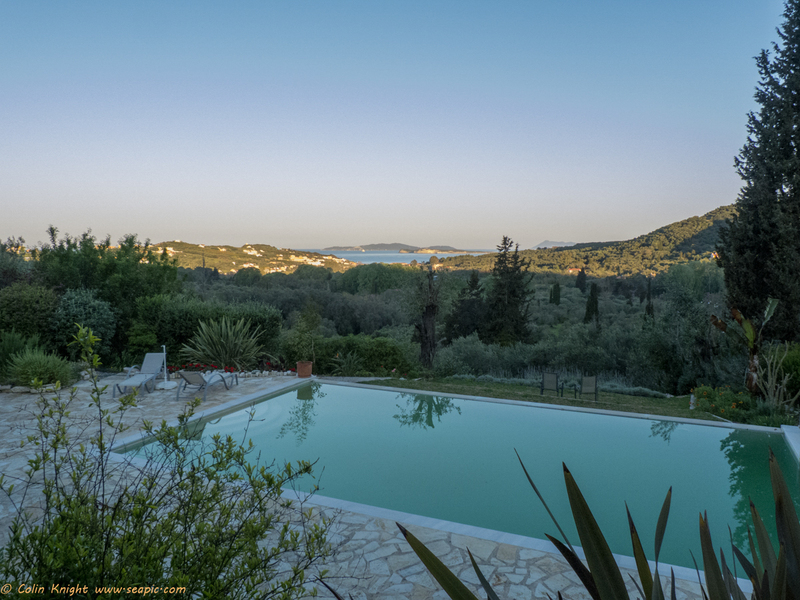 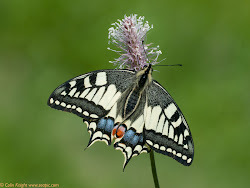 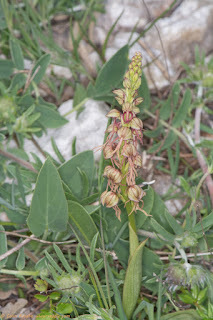 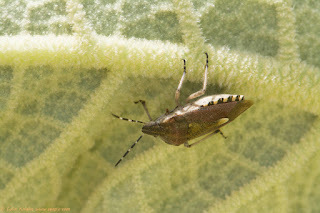 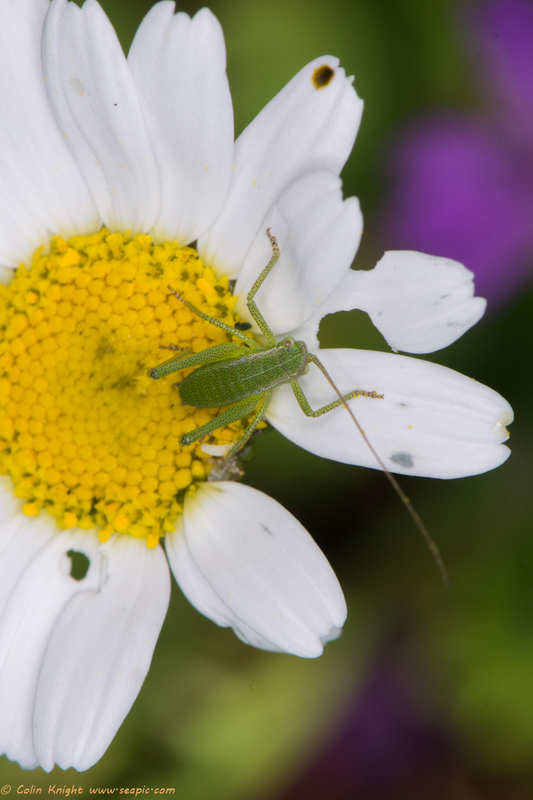 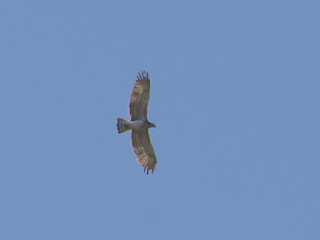 We were accompanied on this day by two wildlife notables: photographer Giannis Gasteratos, whose knowledge of all things Natural on Corfu (and the surrounding countries) is astounding, plus Chris Little, a British wildlife enthusiast who has extensive knowledge of the butterflies here. 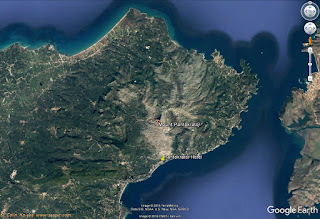 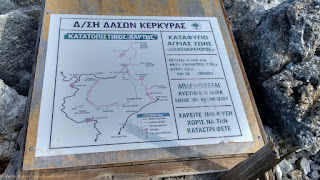 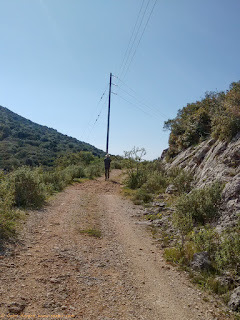 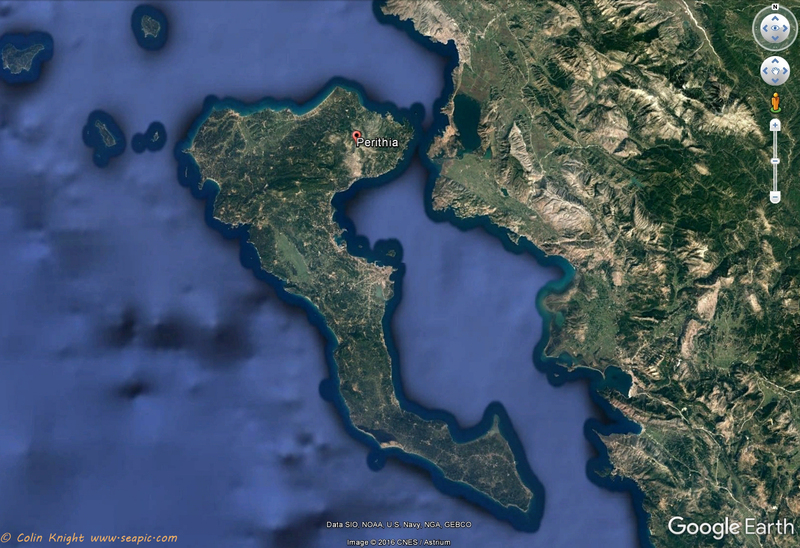 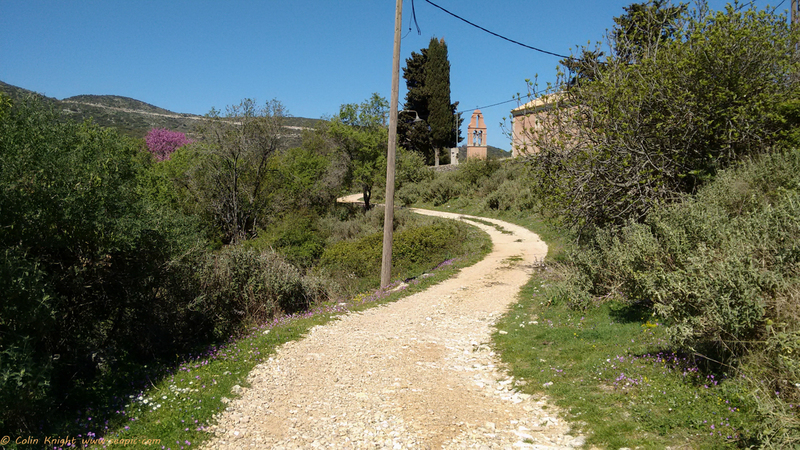 Dan then drove us to Pantokrator where we walked along a cliff path which dropped down several times to bays. 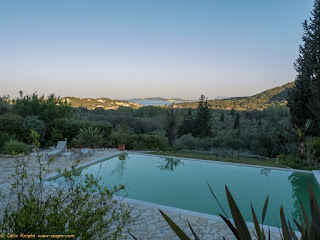 We had a very brief swim in one of them in very cold water. 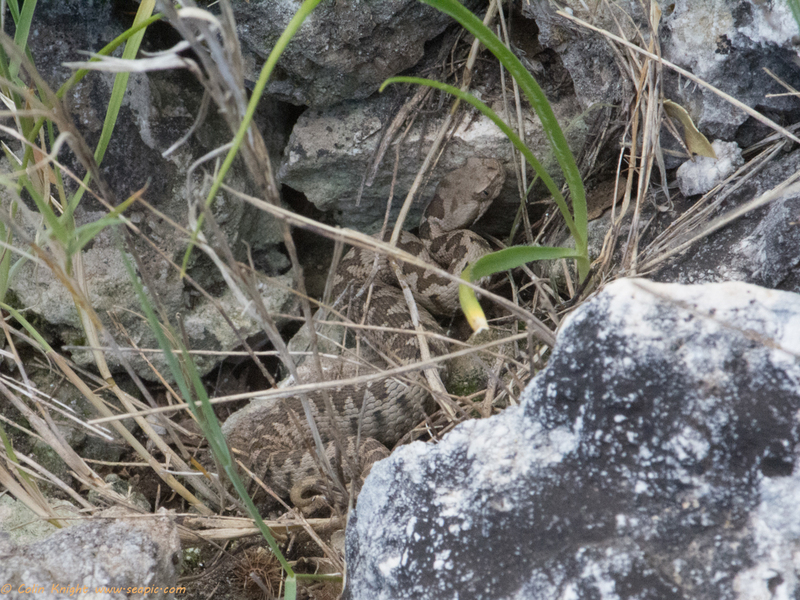 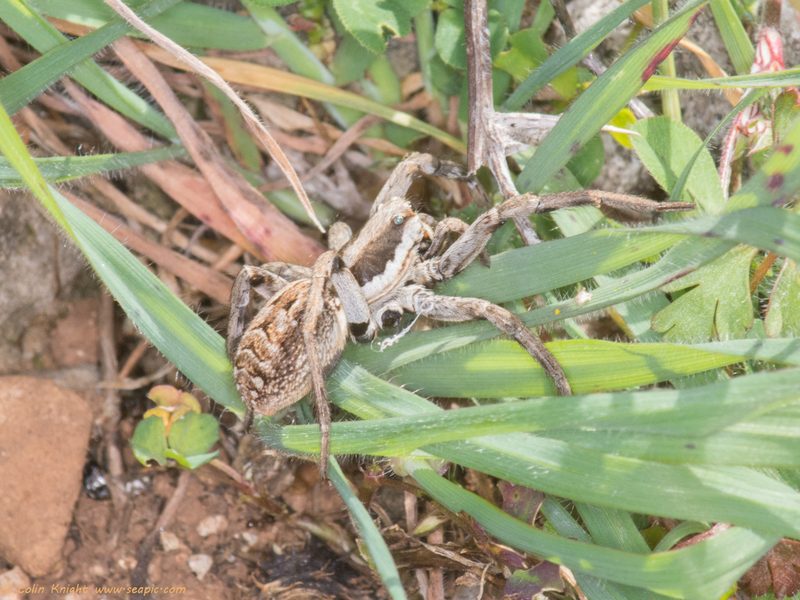 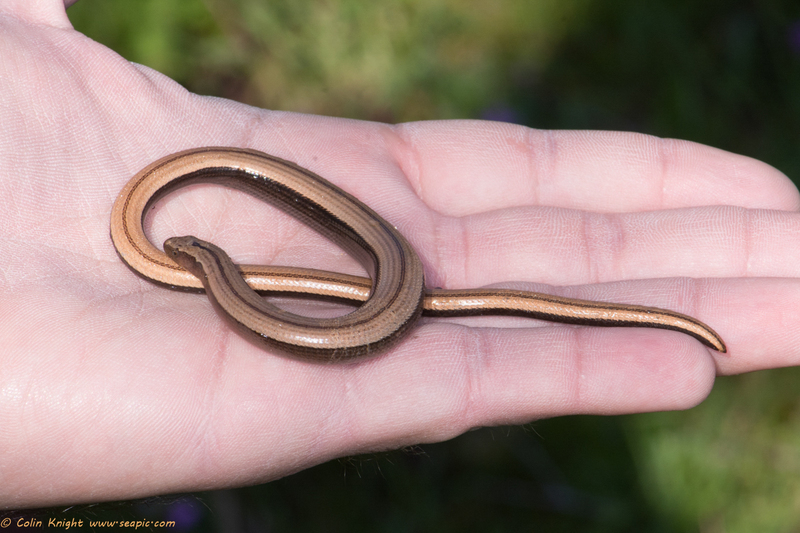 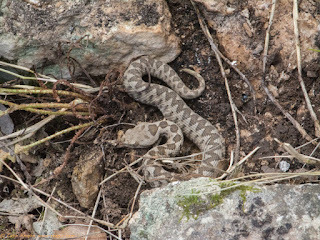 Giannis showed us a Nose-horned Viper, one of two small poisonous snakes on the island, and a Whip Snake. 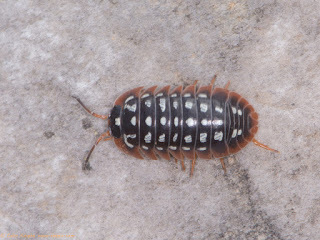 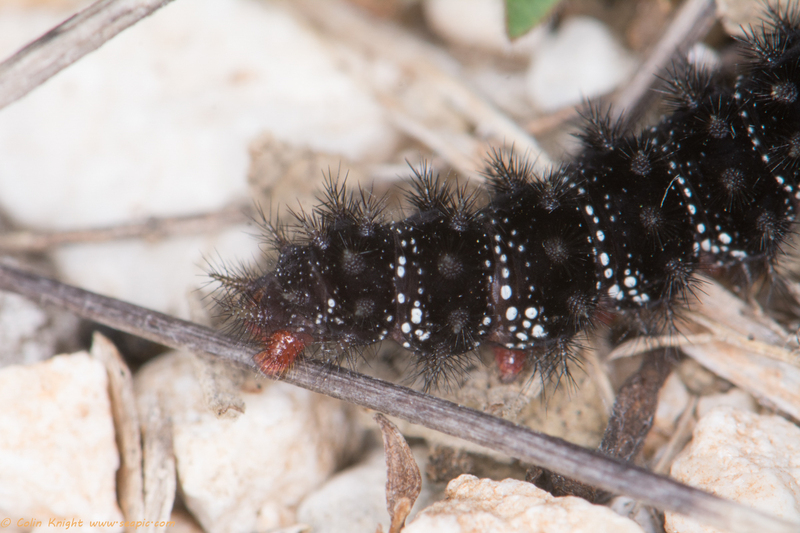 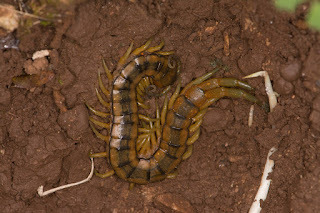 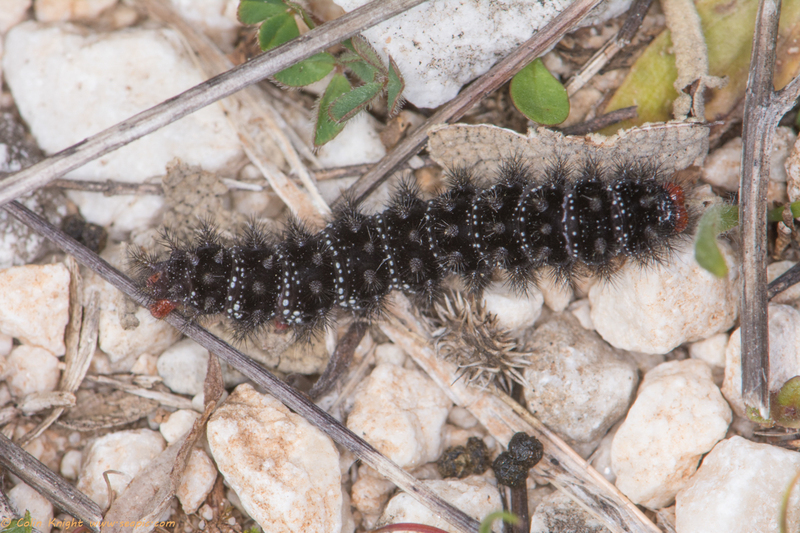 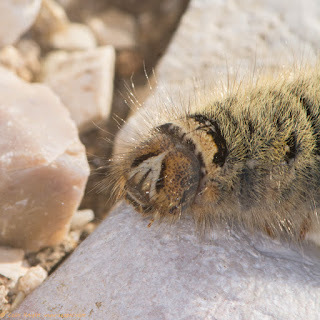 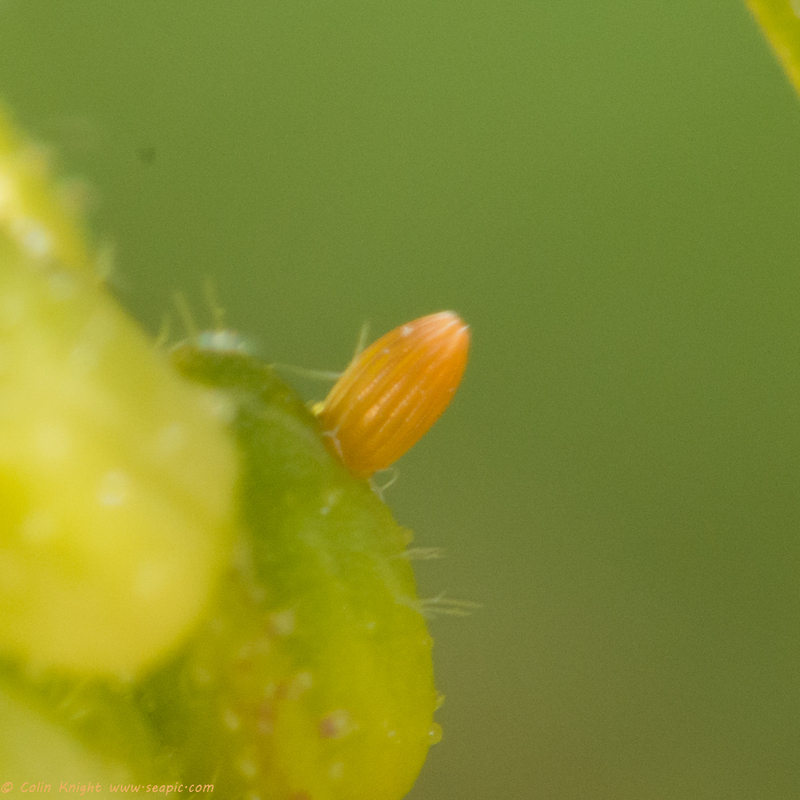 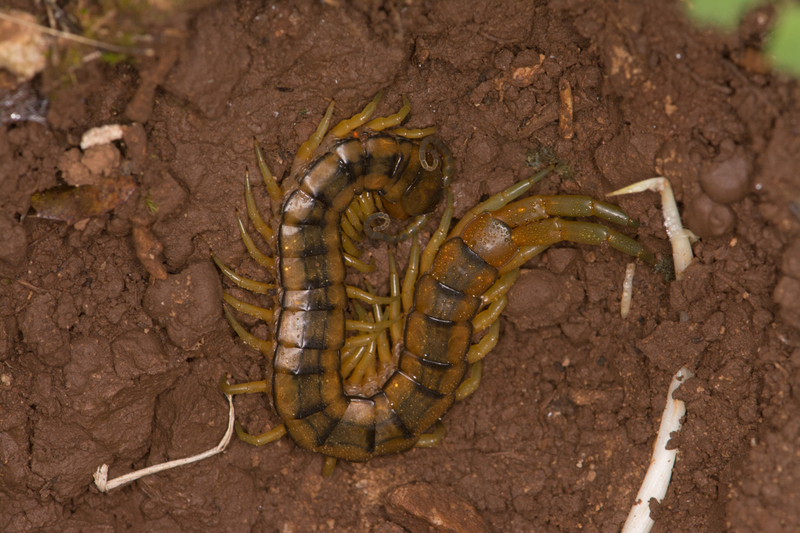 We were pleased to see a Glanville Fritillary larva crawling over the rocks. 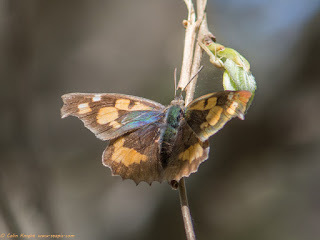 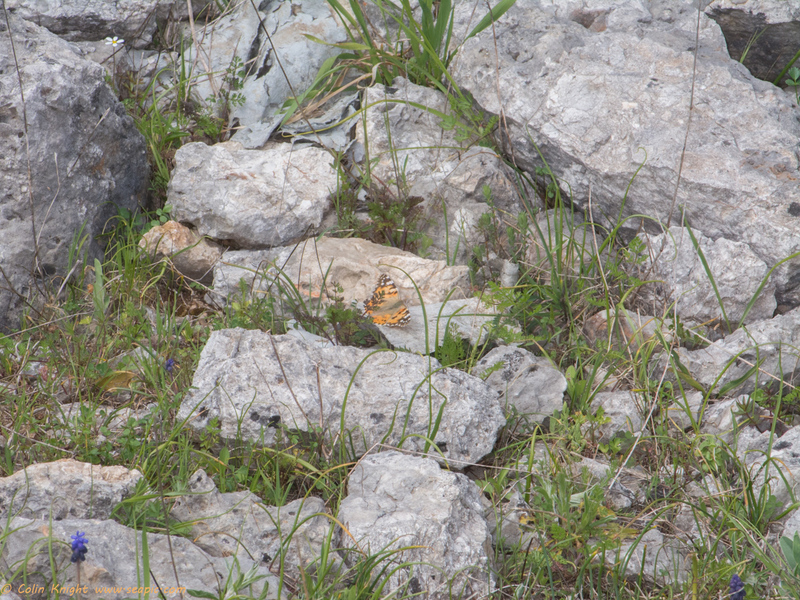 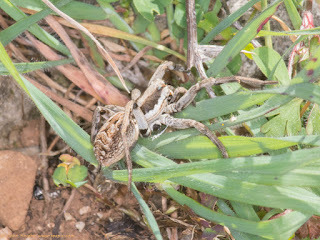 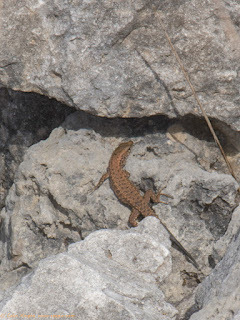 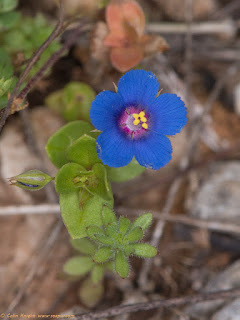 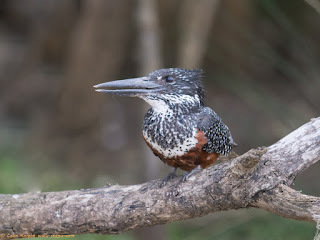 A Blue-throated Keeled lizard and a Mallow Skipper were among many interesting sightings for the group. 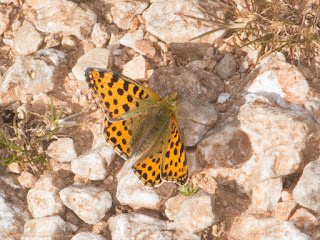 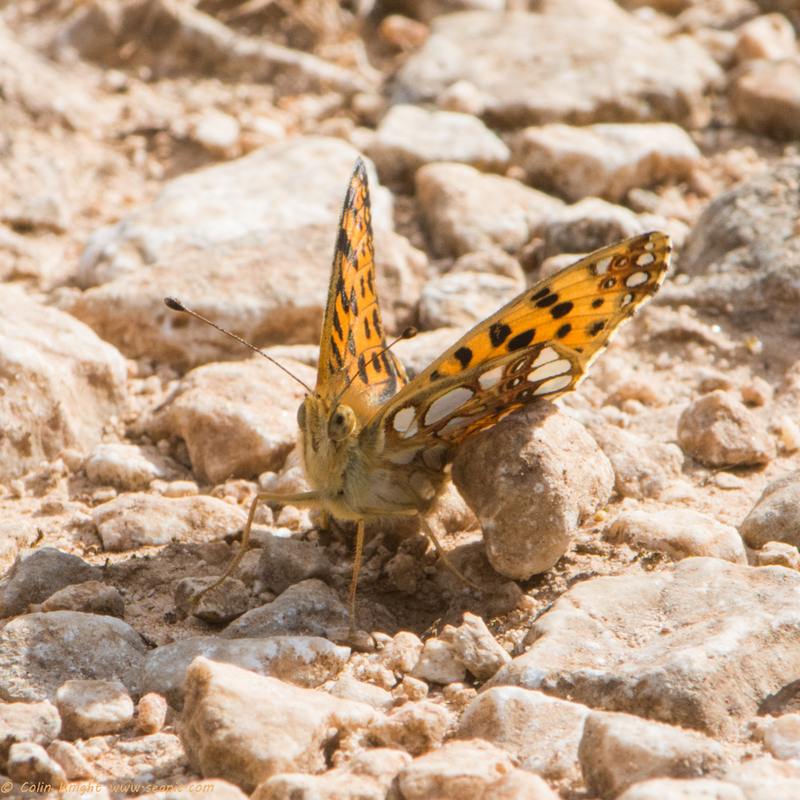 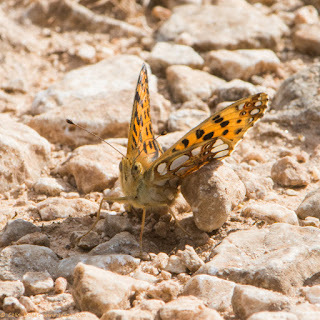 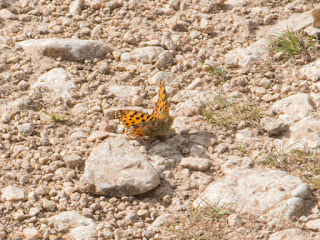 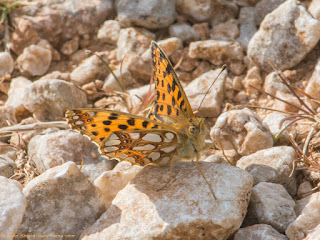 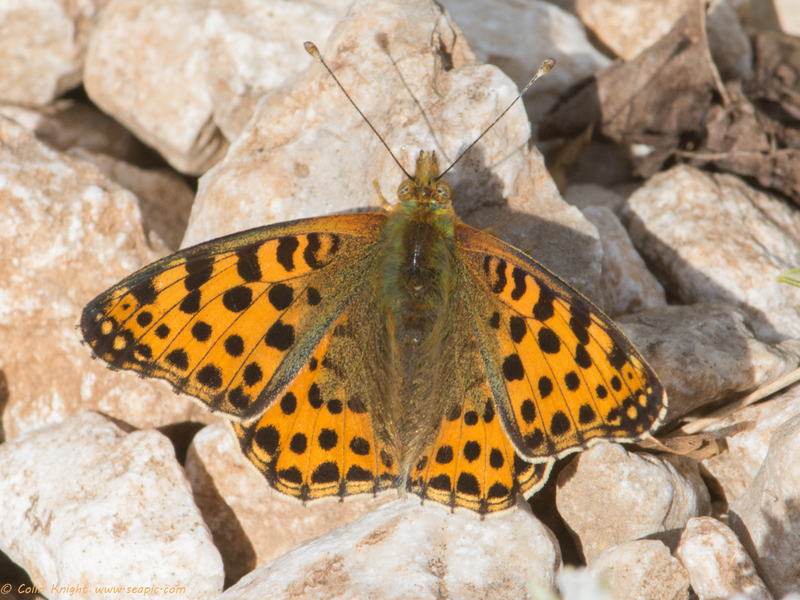 The afternoon highlight was a Queen of Spain Fritillary which gave us a great show as it flew along the path. 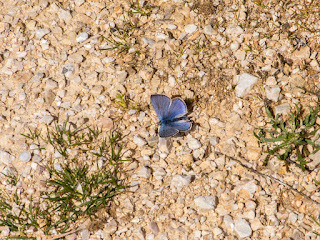 Thanks to Chris Little for the morning's butterfly species list: Green Underside Blue, Holly Blue, Eastern Dappled White, Large White, Large Tortoiseshell, Clouded Yellow, Wall Brown, Orange Tip, Wood White, Small Copper, Swallowtail, Scarce Swallowtail, Brown Argus, Mallow Skipper, Red Admiral, Nettle Tree Butterfly (16 species).